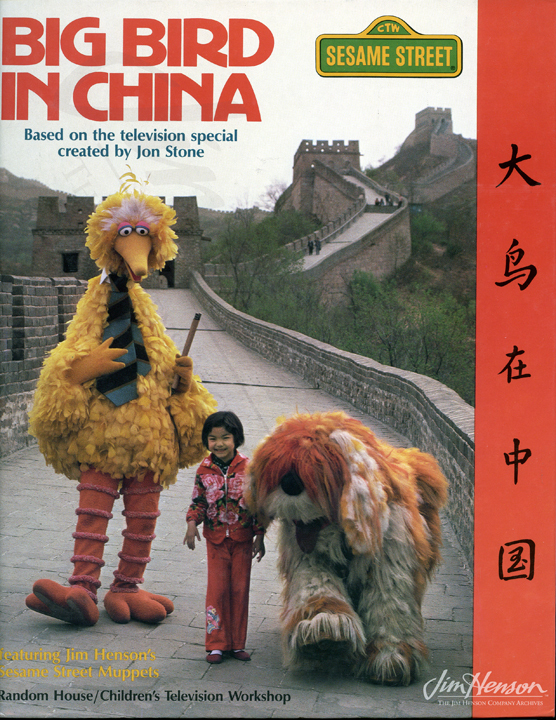 Following a performance in China with Bob Hope, Big Bird performer Caroll Spinney suggested to Sesame Street co-creator, director, producer and writer Jon Stone that they do a project there. Stone wrote to the head of Chinese television, Chairman Zhang, who, to Stone’s surprise, responded quickly and positively and invited a delegation from Children’s Television Workshop to come to China. A one-week visit in September 1981 and business negotiations were followed by a five-week tour during which Stone visited multiple locations and created a list of about 90 elements he wanted to include in the program. The Chinese production team insisted that the child to appear with Big Bird should be played by a Chinese kid rather than a Chinese-American actor, and after a search of Beijing day care centers and kindergartens, six-year-old Ouyang Lien-Tze was cast. Despite the language barrier, she and Stone had a good rapport – her character was called Xiao Foo (Little Lotus) and she affectionately called Stone Lau Foo (Old Lotus) on the set. Back in New York, Stone wrote the script with Joe Bailey and made arrangements to tape the program in China during the Spring of 1982. Frank Oz joined the crew for the shoot in China and in New York, Jim joined to tape an Ernie and Bert segment and record the songs. The show aired as a 90 minute special on NBC to positive reviews. 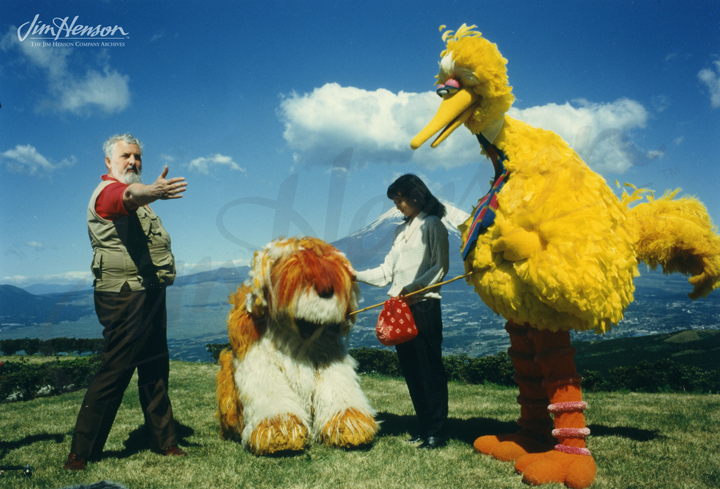 People magazine described Big Bird in China as “…mysterious, magical and greatly moving.” That description could have applied to many of Jon Stone’s subsequent projects like Big Bird in Japan and Christmas Eve on Sesame Street. Big Bird looked for a Phoenix in China; watch Grover and his Chinese bird friend learn a Chinese dance. 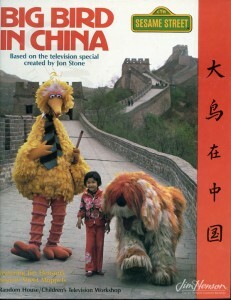 Big Bird, Barkley and Ouyang Lien-Tze on the cover of the storybook version of Big Bird in China. Jon Stone directing Big Bird in Japan. This entry was posted in 05-May '83, 1983, Sesame Street and tagged Bert and Ernie, Big Bird, Big Bird in China, Big Bird in Japan, Bob Hope, Caroll Spinney, Chairman Zhang, Children’s Television Workshop, China, Christmas Eve on Sesame Street, Frank Oz, Joe Bailey, Jon Stone, New York, Ouyang Lien-Tze, Stone Lau Foo, Xiao Foo. Bookmark the permalink.